No matter the industry, a tradeshow or major expo is the perfect place to see and be seen by prospective clients, investors, and fellow tradeshow attendees. 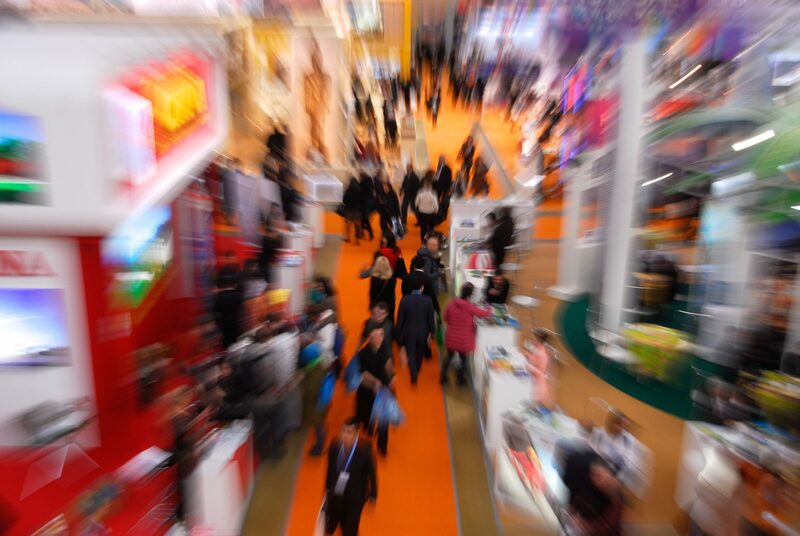 Much has changed in the way consumers buy a product but the allure of a tradeshow still holds many benefits even throughout the years. The saying “It’s all you know” that pertains to a job search can similarly be applied to your next tradeshow or expo. It’s all about who you meet, and you never know what kinds of opportunities could step into your booth. Showcasing your organization or latest product at a major tradeshow or expo can be a little nervewracking at first when you first look out onto the sea of flashy booths, mountains of free samples and swag bags. However, there is still a way to stand out from the crowd and still stay true to who you are at your organization’s core. In fact, staying true to your story will get you the furthest when it comes to showcasing in front of new audiences. Finding ways to personalize every interaction you have with an audience whether it be a direct interaction or a passive one, will be key in standing out in a crowd. By equipping your booth and your team with personalized and custom branded gear to hand out at your next event you can have a chance to make your impression on potential clients long after the event is over. Creating buzz around a product launch, a showcase at your next expo or trade show, or even at your very own event is easier than one might think and you can have a lot of fun with it as well. In today’s tech-savvy world where almost every attendee has a smartphone and endless access to various social media platforms at their fingertips one of the best ways to make a splash at any event is offering a customized geo-filter that guests can find on apps like Snapchat, Instagram, Facebook, and more. This will double as free marketing for you and guests will definitely enjoy the use of a fun filter for the event when snapping, tweeting, posting, and sharing photos. 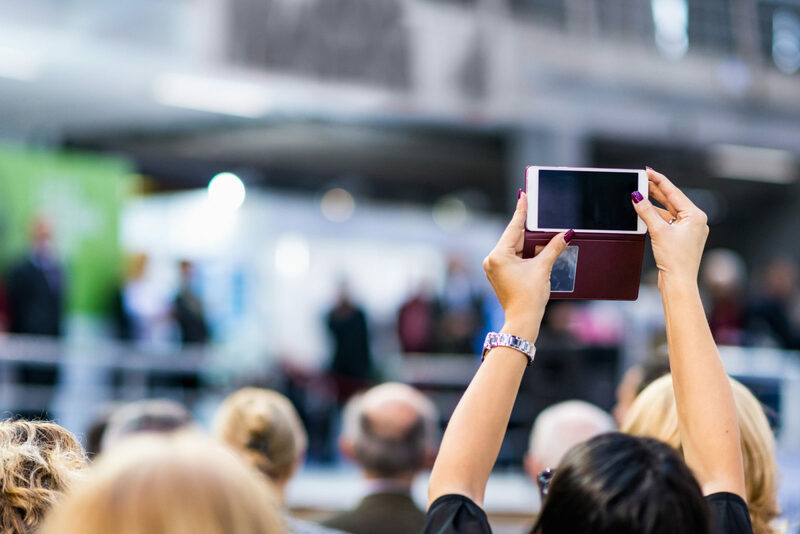 Giving attendees and guests a reason to take out their phone and take a picture, post, or share your showcase will not only be a win but a gift that keeps on giving as a post gains more and more views. 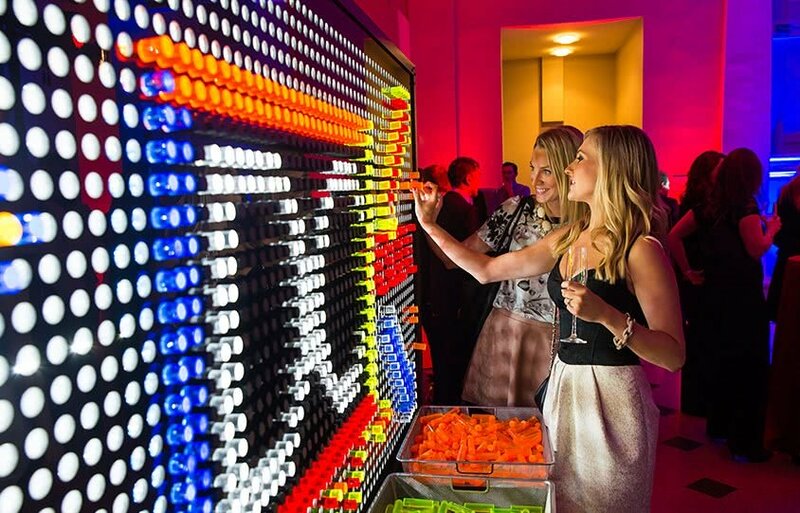 Another great and personal way to attract attendees to your showcase is creating a photobooth or interactive art installation. It’s no lie that everyone loves a good photo booth at an event. When it comes drawing people into your showcase a photobooth with customized props that are not only fun but cleverly showcase what your organization or product is about and guests will love it. 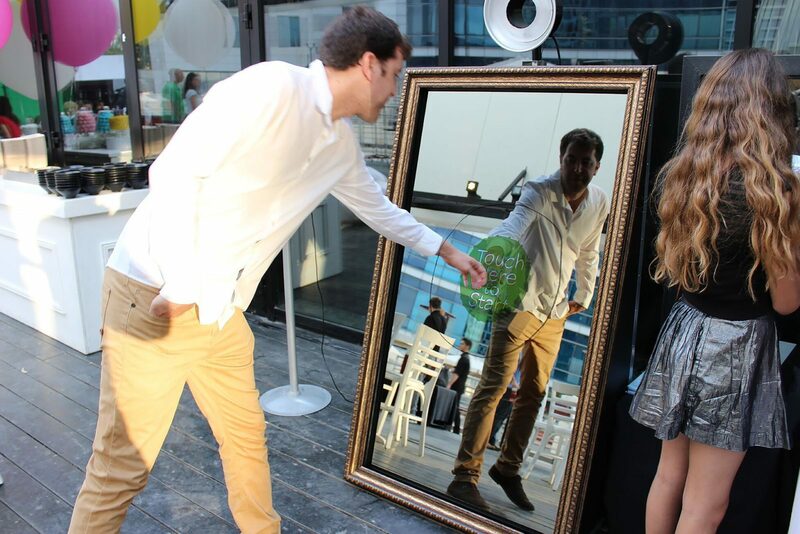 Getting creative with your photo booth is also a great way to bring foot traffic your way. With eye-catching art installations that tell a story or make a statement not only can you catch someone’s eye but your art installation can double as a great backdrop for an Instagram photo. If it looks good on Instagram the people will come. 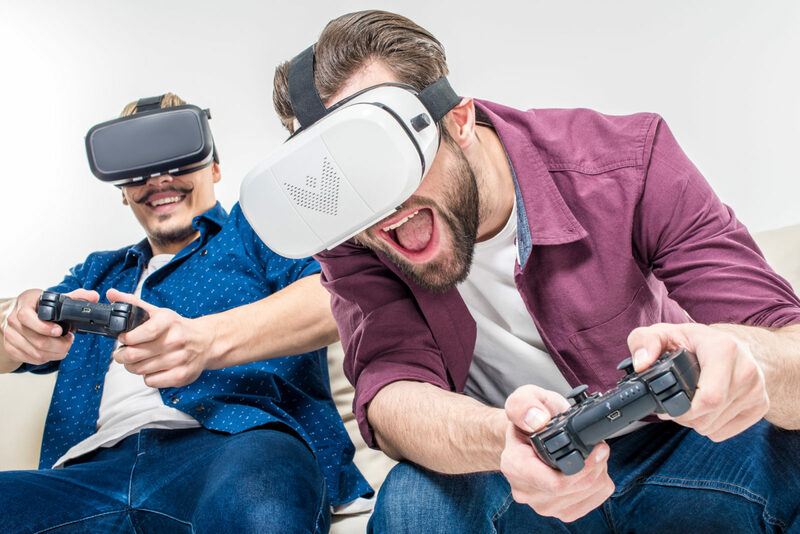 Virtual Reality at first may seem like an odd addition to your tradeshow or expo showcase if your not a video game company but there is much more to the benefits of virtual reality than meets the eye. You can now showcase an entire virtual inventory of product that attendees can sit down and virtually shop through live at your next event. 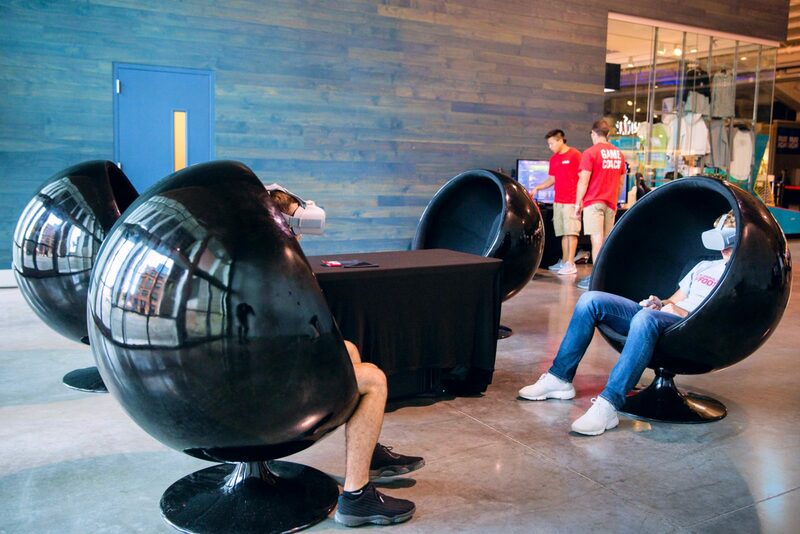 Simply pop on a virtual reality headset and have a seat in your pop up VR Lounge at your showcase. Talk about innovative and effective. 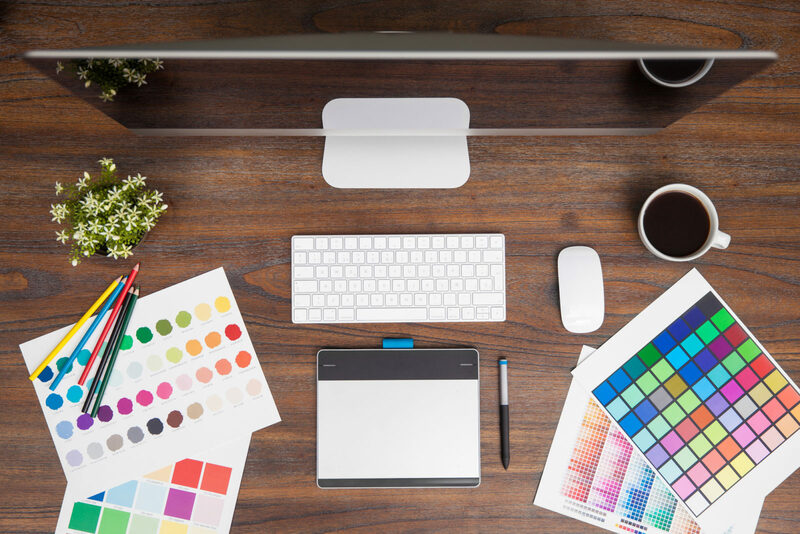 You will no longer have to rent out extra space at a trade show or event to showcase rows and rows of product, and there won’t be any need to pack in and haul out a massive inventory at your tradeshow or expo because it can all be virtual. Not only will this cut costs and save time but having a virtual reality component at your next tradeshow or expo will certainly turn heads and stop traffic.